Rev-A-Shelf's patented Self-Holdin® tip-out tray hinges supply full accessibility to stored items with smooth, quiet and reliable pull-out and tip-open function. Mount easily to all construction types and are totally concealed. 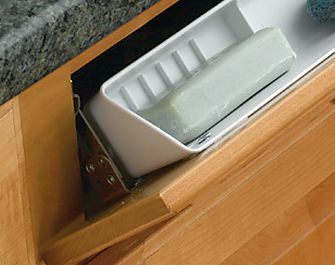 Less than 2mm of clearance is needed for the countertop and no clearance is required for below the false front. Note: Hinges only, tip out trays sold separately. 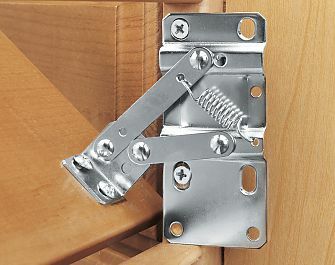 Set Contents: 1 pair Tip-Out Tray hinges.